I’m going to attend a bat mitzvah next weekend. 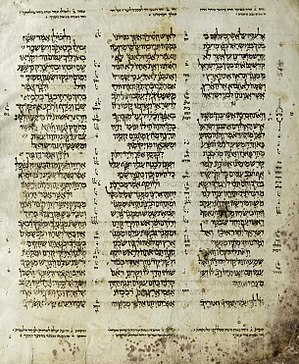 A young woman from my first student pulpit is being called to the Torah as a bat mitzvah, a “daughter of the commandment.” While I’ve been growing up as a rabbi, the little girl who used to call me “Wabbi Woot” has been growing up into a young woman of great intelligence and dignity. 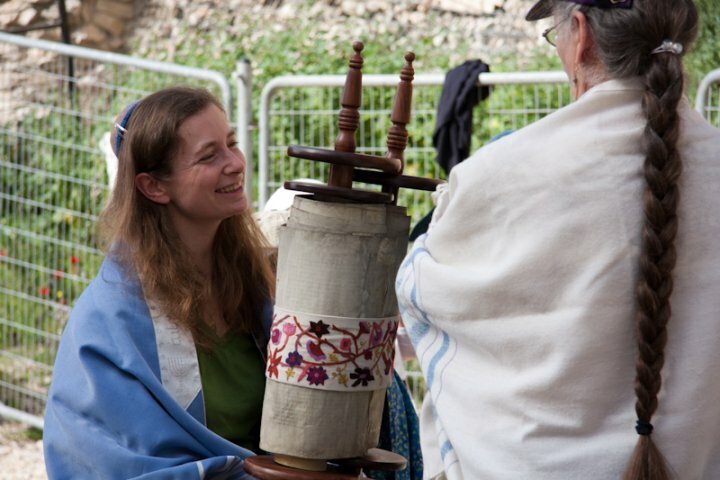 She will lead us in prayer and read to us from the Torah scroll. I’m excited, because this is one of those moments in the rabbinate when I can see something that is often invisible: the chain of tradition. Rebekah has learned some of her Torah from me: not her portion, but the lived Torah that is the fabric of Jewish life. I’m going to watch her ritualize her movement into adulthood in the Jewish community, knowing that some of my Torah goes with her. Not mine alone, by any means: she has internalized Torah from her parents, her grandparents, and her many teachers. But for me, as a relatively new rabbi (ordained in 2008) it will be a very solemn moment, watching a bit of my Torah pass to the next adult generation of Jews. Where did I get my Torah? I got it from the rabbi with whom I converted, Rabbi Steven Chester. I got it from my mentor and friend, Dawn Kepler. I got it from the cantor who taught me Torah trope, Cantor Ilene Keys. I got it from my first study partner, Fred Isaac. I got it from the rabbi I worked for at the URJ, Rabbi Michael Berk. I got it from all my teachers at Hebrew Union College. I got it from the elders at the Home for Jewish Parents in Reseda, CA. Today, I get it from colleagues and yes, from my students. 100 years from now, I don’t expect anyone to remember Rabbi Ruth Adar. But I know that just as the chain of tradition goes back behind me into the mists of history, to the teachers of my teachers all the way back to the Chazal, the great rabbis of the Mishnah and Talmud, so too the Torah I transmit will be alive and well in 5875 and however far into the future Jews continue to exist. Rebekah and my other students will teach their children, and their students, and a little of my Torah will travel with them far into the future. Every moment, every encounter, each of us has an opportunity to teach Torah. We teach it most strongly with our behavior, with the tone we take in dealing with other human beings. We teach those with whom we interact and anyone who happens to be watching. The majority of the transmission of Torah does not happen in the yeshivah: it happens in the marketplace, in the parking lot, in the casual conversations of everyday. This is true for every Jew, not just the professionals. Hold that Torah gently. Do not try to hold it alone.